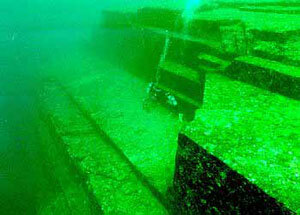 黒い虹Blackrainbow 黒い虹: Yonaguni: The Mysterious Japanese Underwater Pyramid. The tiny Japanese island of Yonaguni, near Taiwan, has become famous for the huge submerged rock structures found near its shores - the ancient city of a lost civilization, some claim. Imposing sets of steps and terraces rise up through the clear water from around 25 meters depth. The structures, with their flat surfaces and near right angles, certainly look deliberately carved (pictured left). Masaaki Kimura, a geologist at the University of the Ryukyus in Okinawa, claims he has identified a huge pyramid, along with castles, monuments and a big stadium, all connected by roads. He says he has also found walls and water channels, as well as quarry marks, stone tools and a stone tablet carved with ancient lettering. 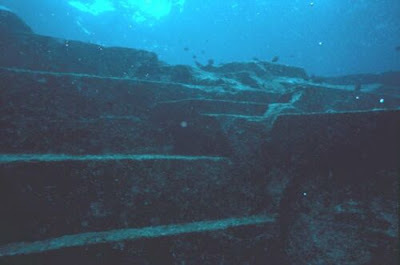 A weird underwater ziggurat type of construction, about 30 meters beneath the water surface. 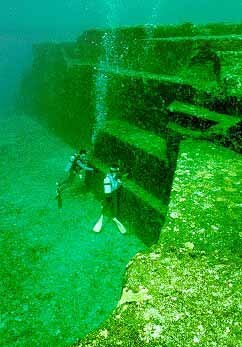 Yonaguni is a Japanese island near Okinawa and Taiwan. 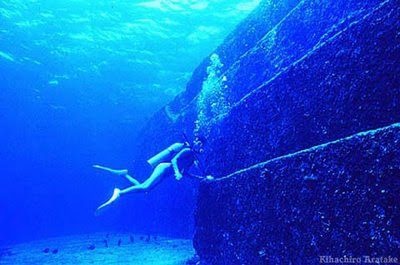 In the mid-nineties the structure was discovered by diver Kihachiro Aratake in the clear but wild waters not far from the shore of Yonaguni. Discovered in 1995 by a Japanese scuba dive-master in his quest to find the breeding grounds of the hammerhead shark. What he found however was much more then he could have had imagined. Good underwater footage and interviews about this amazing discovery, the size of a city. It is a 5 layer platform hewn out of the bedrock, having straight planes and precisely defined sharp angles. It is about 200 meter wide and 30 meter high. Since it is 30 meters below sea level it is at least 10000 years old since in that time the sea level was - because of the melting of the icecaps at the end of the ice age - at a lower level than now. This means that the structure is one of the oldest buildings in the world - together with the Sphinx in Egypt and Tihuanacu in Bolivia. What its purpose was, is yet unknown. Imagine that the structure is at the shore of ancient Japan, long ago. With its distinguished platforms, the weird shape and the enormous size, it must have impressed any visitor. 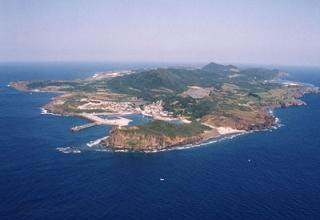 The site is difficult to investigate because of the strong ocean currents. Therefore still a lot of questions wait for underwater archaeology to be answered. 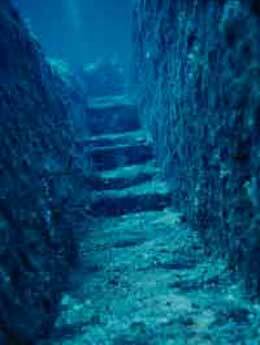 Ever since this date, the Yonaguni finding has been a source of immense controversy. Experts are unable to agree upon whether it is actually. A man-made structure at all, or simply a remarkable natural formation. If it can be confirmed to be man-made, it will undoubtedly revolutionize the way in which the history of our own species is viewed. Scientists agree that this area of coastline became submerged by the rising oceans at least 10,000 years ago. Following the end of the last Ice Age, there was a huge global thaw that altered the world immeasurably and, over time, sea levels are believed to have risen by up to 30m. This means that any civilization in place at that time would have been destroyed, engulfed by the rising waters, with all traces of it remaining hidden to this day. Furthermore, it is known that human civilizations have thrived on coastlines for thousands of years, because the sea is not only an excellent source of food, but also facilitates important activities such as trading and transport. 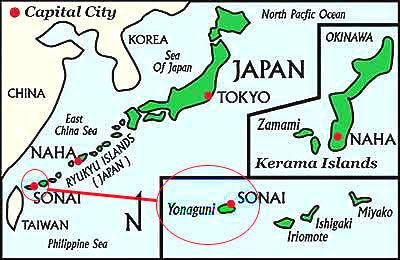 Yonaguni would, therefore, have been a likely location for a settlement to arise. Such a civilization would, however, have pre-dated all known cultures by thousands of years, since the oldest known city is believed to be Sumeria in Mesopotamia, which dates back to around 5,000 years ago. To double the accepted timescale of human development is to take a drastic leap. 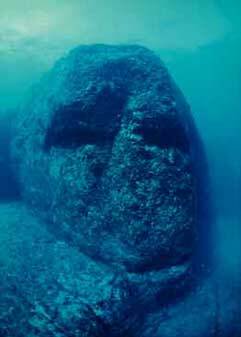 This, however, is not impossible, especially if there is real evidence to support it, as Yonaguni might prove to be. 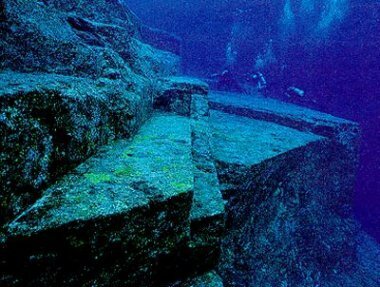 Perplexing scientists still further is the fact that similarities have been noted between the architecture that appears to exist at Yonaguni and that which can be found above the sea on the coast of Peru. Yet even the oldest of these Peruvian structures, built by the Moche people, are at the most 2,000 years old, leaving an inexplicable gap of many millennia. 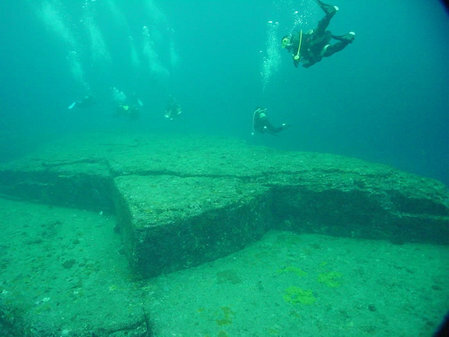 Further controversy has arisen over the actual appearance of the Yonaguni structure. 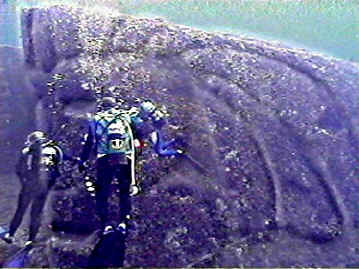 Underwater photographs of the site appear to show the presence of ramps, terraces and steps. While American geologists argue that these are nothing more than natural formations, Japanese scientists have claimed that tool markings can be found along the structure, suggesting that it might have been tampered with. One person, however, has seemingly taken both sides of the argument, asserting that the site is both natural and man-made. Dr Robert M. Schoch, a geologist who made frequent dives to the site, actually suggested that the majority of the structure was indeed a natural formation, but one that had been chosen and modified by humans, in a process known as ‘terra-forming’. The discovery of what appeared to be a small staircase on the site was prime evidence of such modification. 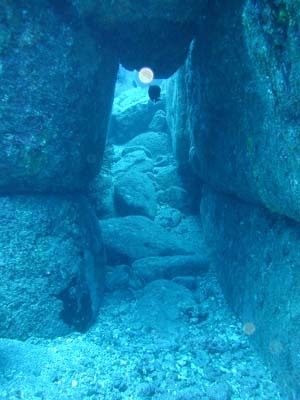 The discovery of structures beneath the sea always generates intrigue and excitement, with people proclaiming that the lost city of Atlantis has been uncovered. 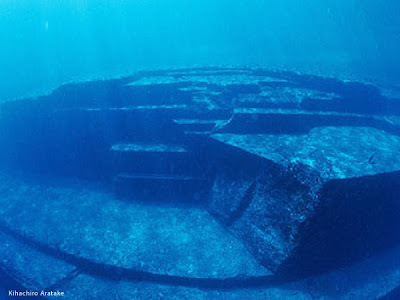 However, the location of Yonaguni means that it is unlikely to been Atlantis. Rather, it would seem to have closer parallels to the lost continents of Mu or Lemuria, as both were said to exist in the region of Asia, spanning the Pacific and Indian oceans respectively. Although the comparatively modern science of tectonics has largely discredited the notion that there were ever ‘lost continents’, many believe that they did, in fact, exist. Lemuria and Mu are supposed to have been destroyed by immense natural disasters that engulfed the continents. It is not impossible that ancient myths telling of the demise of whole civilizations have become altered and enhanced over time to encompass the destruction of entire continents. In this respect it could actually be possible that the end of the Yonaguni culture could have been mythologized or exaggerated into a story such as that surrounding Lemuria. 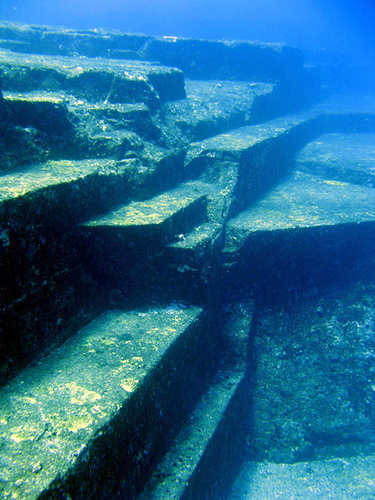 In drawing these parallels between Yonaguni and the mythical continents, the experts involved are hoping to advance the theory that there is a great lost culture of the Pacific. Tantalizing glimpses of such a culture are offered by the mysterious stone heads of Easter Island or the oral traditions of the Polynesian islands. 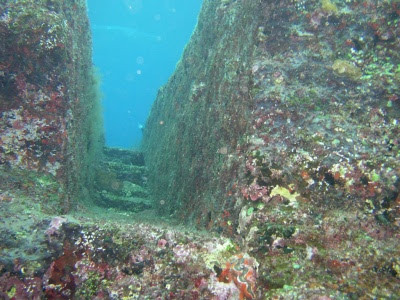 Apparent similarities between Yonaguni and stone constructions on Hawaii and Tonga suggest a cultural bridge from pre-historic Japan to the coast of South America. This theory also attempts to explain the similarities between many different cultures of the world, a large number of which shared a belief in astronomy and adopted the pyramid as a favoured type of construction. Some theorists, such as Graham Hancock, believe that this serves as evidence of an ancient seafaring culture that spread its wisdom around the globe. It is certain, however, that further proof will be required before the sceptical world of archaeology accepts such a drastic reinterpretation of man’s early history. Perhaps, if the site around the pyramid is explored further, this evidence might be found after all. Or, if not, it is possible that proof could be located at other formations that have been discovered on the sea-bed close to the Japanese islands of Kerama and Chatan, and in the Straits of Taiwan. Now that technology is able to reveal more and more about global changes as a result of the Ice Age, it seems likely that further discoveries of this kind will be made in shallow coastal shelves around the world. This offers us the exciting prospect of possible answers as to the nature of the origins of human civilization, but as always, each discovery is likely to raise further questions. Why, for example, has the pyramid been so evident in disparate cultures at different times of mankind’s history? The answer to this question looks set to remain one of the greatest mysteries of the ancient world.